Kids love jumping, so do most of us. While kids do jumping many times a day we, the grown-ups, may not do it as frequently, but we too enjoy it nonetheless. 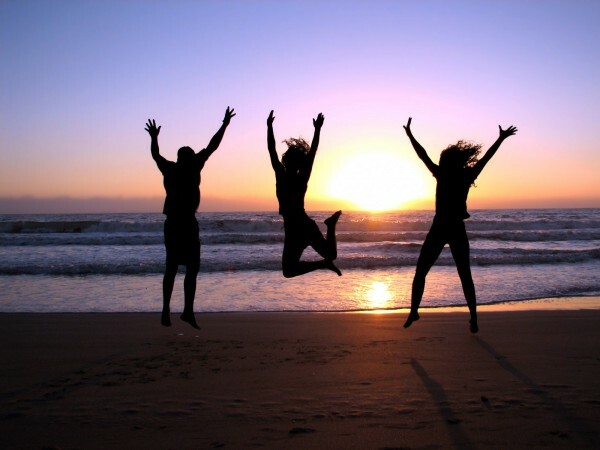 What we don’t know is that, jumping brings a wide range of health benefits! Yes, it’s true as many studies and researchers have found a whole host of advantages attached with jumps. Knowing that, you must be feeling happy at your decision of taking your kids to trampoline parks so frequently. It means, when your kids jump or rebound on trampolines, they are actually benefiting a great deal. They are gaining health benefits even without exerting much or without putting in anything extra or anything special. With even NASA-backed study informing about the virtues of jumping or rebounding, you therefore have no reason to believe otherwise. The benefits actually emanate from two reasons – first, from augmenting oxygenation to the body cells and second, from boosting the G-force. Similarly, the same studies confirmed how jumping is more helpful to the body that running. What’s more, you or your kids get health benefits while having fun and this is the biggest factor. It proves why jumps are here to stay and why you should benefit from trampolining as much as you can. Scientists have proved time and again that jumping or rebounding helps a great deal in weight loss. As more calories are burned this way, your body loses a big chunk of those obdurate flash that often refuses to go away easily. Trying jumping for a few minutes on trampoline and see the difference. Immediately after the exercise, you’d feel a flow of energy into the body, or you’d feel more energetic than you felt before exercising. It happens as the circulation of oxygen gets increased when we jump. The more rebounding you do on a regular basis, the more your body becomes flexible and supple. You become more alert and your level of bodily elastic perks up a great deal. More so, you feel animated and active as the body is more agile now. Jumping on a trampoline stimulates and cleans the lymphatic system of the body to bring many benefits. In doing so, the circulation is boosted through the body and detoxification is done. It means, toxins are removed from the body which brings a big improvement to the immune system. Those who’re aware of health benefits from jumping use it routinely to improve their digestion. This benefit is derived out of the cleaning of the digestive tract due to constant contraction and relaxation of muscles initiated by jumping. Yes, it’s true that rebounding on trampolines is capable of keeping one away from risks of stress and depression. The exercise helps you stabilize the nervous system and get serotonin released which takes one away from any form of stress. Your regular jumping sessions are capable of normalizing blood pressure. And when you do that, it stops many dangerous cardiovascular diseases to reach the body. Similarly, your sessions also help in formation of red blood cells by boosting the mechanisms in the red bone marrow. It’s quite obvious to note many health benefits arising out of your jumping or rebounding exercises. It also proves that having health benefits need not always involve either joining the gym or following a strict dietary regimen. You can be fit and fine by following as simple an exercise as jumping! Akshay Sharma is working for Jump In Trampoline Park and loves to read & write about Kids parties, Games, Fitness & Indoor activities. Jump In is one of the best trampoline park near by Slough, London.